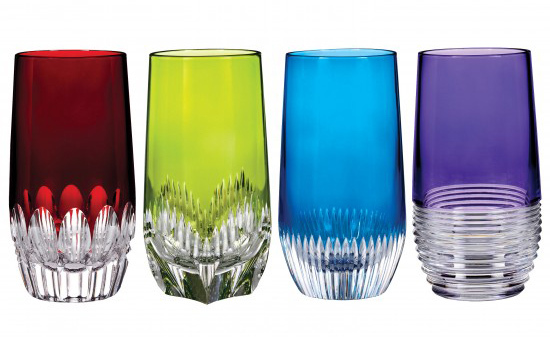 Waterford Crystal, the authority in quality crystal design, has just released its new signature range Mixology collection, a contemporary, innovative and colourful offering – and we’re loving it. Add a pop of colour to your home this season with this unique stemware collection which playfully blends a quadrant of colours with an array of clear cut crystal design technics. This new line extension is available in four colours; Talon, Argon, Neon and Circon. The new addition of Highball designs round out this colourful, complete cocktail entertaining collection. Talon, with its deep red crystal accents, broad cuts and deep strokes compliments Circon, which echoes a strong amethyst colour. Argon, boasts a base of dense vertical cuts wrapped in electric blue and shines brightly alongside Neon with its deep lime hue and crystal blaze cuts. This modern and chic collection from Waterford truly emphasises their craft ability to create fresh designs and continue to delight proud home entertainers worldwide. 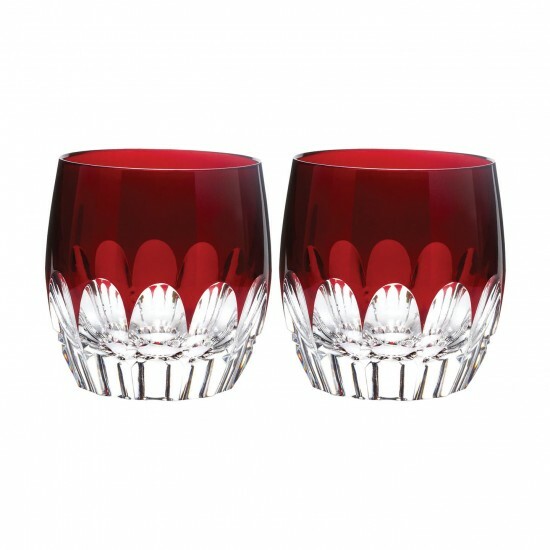 Mixology brings colour into the home with its sleek and unique design whilst still maintaining the elegance that Waterford is renowned for worldwide.